One of the unique services we can offer our customers is retractable screen door and window installation. Using top-of-the-line retractable screens from Phantom Screens, homeowners can receive the benefits of a traditional fixed or sliding screen without the nuisance of it always getting in the way. If the weather is particularly sunny or buggy, you can leave your screen out - but if you just want to enjoy the view uninhibited, your retractable screen can completely disappear into its housing. We also offer motorized retractable screens for porches and patios! Feel free to ask us any questions you might have about these screens or any of our other services. Are you unhappy with your outdated home? Kitchens, bathrooms, and many other parts of your property don't always age well, leaving you with a home that's a bit of an eyesore. To get the excitement back from when you first purchased your home, you need to work with an experienced remodeling company that keeps your needs in mind. Sorci Construction Services is a family-owned, full service remodeling contractor specializing in design and construction management for both residential and commercial projects. Servicing Central California & Southern Nevada for over 25 years, we have set ourselves apart in the industry by offering our clients the highest quality workmanship, products, and customer service. Our exclusive list of signature services, excellent craftsmanship, and our focus on customer service is why we have been voted as Bakersfield's favorite Home Remodeling contractor for consecutive years in the Californian. No matter what changes you'd like to make to your property - from installing custom cabinets in your kitchen to creating an outdoor living space - Sorci Construction Services has the skills and tools required for the job. We offer our remodeling services throughout Fresno, Bakersfield, Las Vegas - schedule a free estimate with us today! Bathroom & Kitchen Remodeling in Bakersfield, Ridgecrest, Wasco, and Nearby! Unlike many other remodeling companies, Sorci Construction Services is interested not only in the major rooms of a home, but also in the space between them. In the past, rooms were separate, self-contained entities, but today, more and more homes have an open plan where one room transitions into the next. When Sorci Construction Services offers kitchen, bathroom, or any other kind of remodeling for your home, we'll always keep these transitional spaces in mind, ensuring your home makes sense as a whole. We want your project to exceed your expectations, and paying attention to these small details is the way to do it! As a local, family business, Sorci Construction Services truly values the relationships we've built with our customers over the years. We are proud of the work we've accomplished over the many decades we've been in business, and we can't wait to get started on your remodeling needs! Ready to begin work on your new kitchen, bathroom, replacement windows, or other project? Call us at 1-661-324-8464 or contact us online to schedule your free estimate! 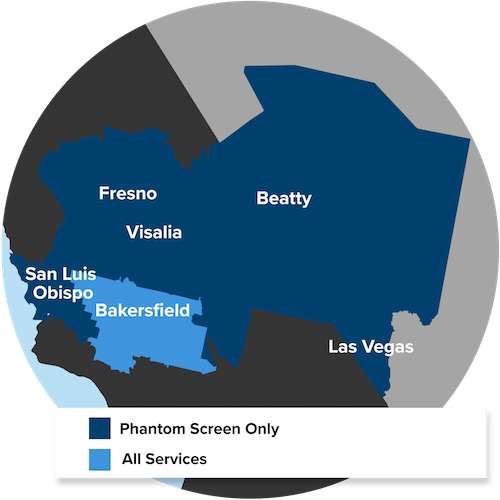 We offer our residential and commercial remodeling services in Bakersfield, Fresno, Las Vegas, Visalia, Henderson, Madera, Clovis, North Las Vegas, Porterville, Merced, and throughout the surrounding areas.